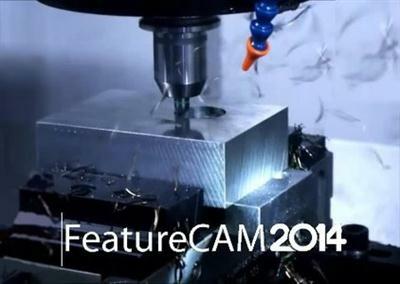 Delcam launches the 2014 release of FeatureCAM feature-based CAM software. The release includes a number of new options for turning, four-axis rotary machining and turn-mill operations. Other enhancements in this release include more strategies for two-axis finishing and easier programming of probing sequences. FeatureCAM was the world's first feature-based programming software when it was launched in 1995. Constant development since then has ensured that the system has retained its leadership in programming speed and ease of use, while an increased range of strategies has been added to provide more efficient toolpaths giving greater productivity on a wider range of machines. The first improvement to turning in FeatureCAM 2014 gives the ability to add fillets to any sharp corners, for example, for automatic deburring, without having to edit the geometry. The user simply has to specify the radius to be applied and all the sharp corners will be filleted automatically. Similar functionality for automated chamfering of corners has been available in FeatureCAM for several years. An improvement to the FeatureCAM interface will make it easier to use a curve to define start points and plunge points for both turning and milling. Users can now pick these curves by clicking on them, instead of having to type the name of the curve. The ability to incorporate probing routines into machining programs was added in FeatureCAM 2013 to make it easier to undertake unsupervised production operations by allowing automated checks to be carried out before, during and after machining. Programming of these operations has been made easier and quicker with the new ability to incorporate decision-making with built-in options in the software, instead of having to hand-write toolpath edit commands. For example, it is now easier to include a re-machining command if the probing results show that more material needs to be removed from the part. Finally, a number of extra strategies and options have been added for two-axis finishing. These include the ability to use larger stepovers with automatic machining of any upstands that may be left, continuous spiral machining either from outside to inside or inside to outside, support for stock models created from roughing toolpaths, and automatic avoidance of clamps. A-034100 C FIXED FC VERICUT: Clamps settings aren't remembered in ini file. A-033301 F FIXED FC VERICUT: Convert addin from .dll to .exe. A-034099 B FIXED FC VERICUT: GPF: If part has multiple setups, but exporting only 1, the addin seems to crash (doesn't generate all files). 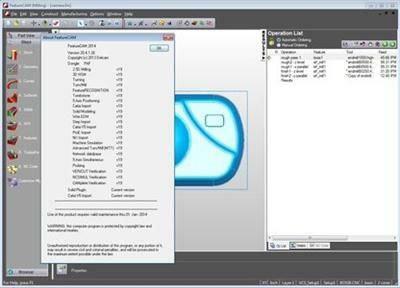 A-034101 F FIXED FC VERICUT: Need custom icon for the FeatureCAM to VERICUT addin. A-034102 F FIXED FC VERICUT: We should be able to specify certain info separately for each setup. Setups' list should include only enabled setups. A-034162 B FIXED FC VERICUT: Need to be able to export custom solid holder to VERICUT. A-034269 F FIXED FC VERICUT: Need an option to combine setups. A-034418 B FIXED Addin: The setupsheet dll always generates a setup sheet in English even if we are running a localized version of the dll. A-034414 B FIXED Translation: need more space in the setupsheet dialog. A-033617 B FIXED Translation: Add "Left hand" and "Right hand" to index file so that multiple entries get created in the PO file. A-034331 F FIXED FC API: Need a function that'll return coordinates (position and orientation) of one UCS in the world of the other UCS. A-033374 F FIXED D,FC Translation: Need to enter separate translation for word "Cut" and "Thread"
A-034219 B FIXED FC GPF: tool database: This particular tool database causes crash while generating html setup sheet. A-034114 B FIXED FC API: Help: Probe Optimized Turn Macro code should be updated to last revision. A-034247 B FIXED Translation: Cannot create a wire rapid feature in Spanish version. We get an error message that an improper argument was found. A-016303 F FIXED FC Installation: allow dealers to set ini file defaults. A-016941 F FIXED FC XBUILD: Multiple Fixture: Desire method to output coordinates of origins for multiple fixture documents in the nc program. A-034241 B FIXED Tool Database: When using тАЬUse feeds and speeds from last saveтАЭ and using the network tool database the Feeds and speeds do not come in with the part. A-033848 B FIXED FC 2-axis milling: error with negative plunge clearance. A-034288 B FIXED FC User interface: If feature has long operation list then in feature properties window user doesn't have access to last items in left window tree. A-034137 B FIXED FC MTT: After deleting (or undoing) all features in the Part View the operations from last feature are stayed in the Turrets tab yet. A-030542 F FIXED D,FC Stock Model: remove operations from a stock model. A-033927 B FIXED D,FC XBUILD: linearize arcs cause partline program error. this is from A-033473. A-034159 B FIXED Translation: need separate string in PO file for "Plunge". A-034019 F FIXED FC User interface: export: desire method to protect FC files by disallowing export button. A-034222 F FIXED FC Addin: transliteration of reserved word values in Xbuild. A-034178 B FIXED FC User interface: 3-axis milling: approximate linear moves with arcs & lines: warning should be changed while using it with scallop stepover. A-033879 B FIXED stock model: Aborting stock model calculations during simulation does not abort toolpath calculation. A-034025 B FIXED FC GPF: Crash with 2d sim. 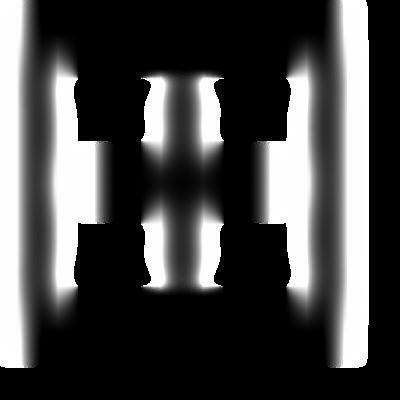 A-034075 B FIXED FC 2-axis milling: DMK error with NT toopaths selected. A-033713 B FIXED FC Turn: face: roughing pass of face feature doesn't work well with z leave allowance. A-034205 B FIXED FC FC-PMP: unable to save nc program using "save nc". Delcam is a world-leading developer and supplier of advanced CADCAM software, with more than 35,000 customers in over 80 countries. These clients vary from global names like Nike, Boeing and Mattel to small start-ups and individual craftsmen. Founded 30 years ago, we are the largest developer of product development software in the UK, with subsidiaries in Europe, America and Asia. Our global success has been recognised with many awards, including three Queen's Awards for Enterprise in the last six years. Delcam FeatureCAM 2014 R2 :April.1.2014 Fast Download via Rapidshare Hotfile Fileserve Filesonic Megaupload, Delcam FeatureCAM 2014 R2 :April.1.2014 Torrents and Emule Download or anything related.